This natural, unscented soap has multiple uses in your home. 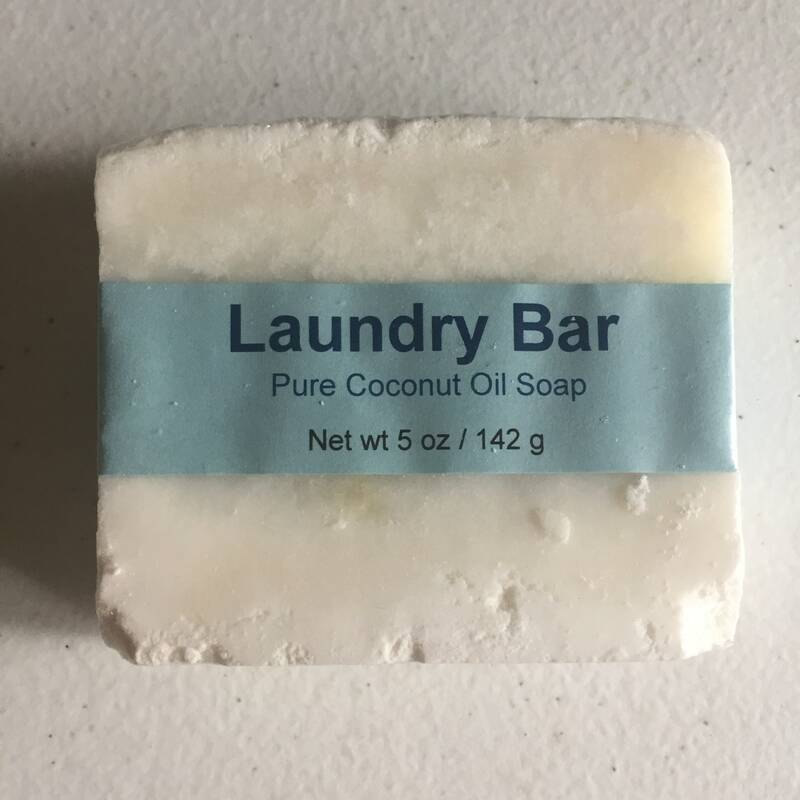 You can dampen the bar and rub it into fabric as a stain pretreatment before laundering your clothes, or you can grate the bar and gently heat it in water until dissolved to make a liquid or paste soap to use around the house, or grate it and combine it with borax, washing soda and water to make your own laundry soap--you can find lots of recipes for that online, or ask and we'll send you the recipe we use. This listing is for a single bar weighing a minimum of five ounces. (Most weigh more.) Each bar is individually labeled and shrink wrapped. These hard and somewhat brittle bars cut unevenly, but what they lack in prettiness they make up for in their cleaning power. Ingredients: Coconut (Cocos nucifera) oil, distilled water, sodium hydroxide (lye). Please read our shop policies before placing an order. Your order confirms your agreement to their provisions.